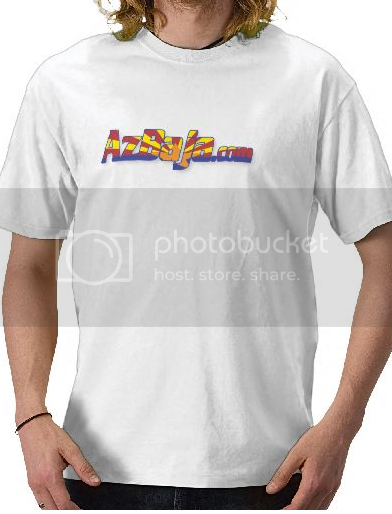 For 2013 AzBaja.com would like to produce new t-shirts. What we are looking for is a new design to have printed and ready by February. Must use this logo in the design. Outlined or solid, choice is yours. 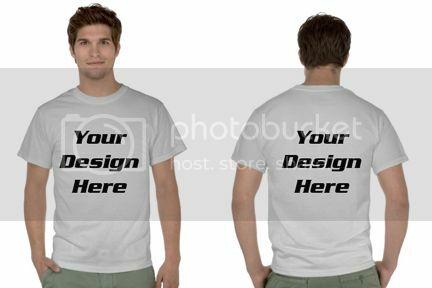 Since we have not chosen a shirt color, please make sure your design will work on a light colored or dark colored shirts. Please make sure all submitted designs are compatible with todays shirt printing techniques. I know that the recent fashion in t-shirt color is that all are black, But I live in a desert, like many of the others on here. I HATE wearing black T-shirts in the desert sun. I feel that fashion is for people who live in much cooler, cloudier climates. Like Seattle! But this isn't WaBajas, is it? So I suggest a desert color such as tan, or even the green of our fearless leader's Baja (though I am not personally inclined to favor that color myself). Red would be acceptable, or some other colors maybe. Then using the solid color logo in a contrasting color would be the ticket. I presume the "design" you are requesting is thought to be a Baja or buggy or something of the sort in a single or 4-color (max). I suggest the design would be best if it is simple and easy to figure out. A popular trend in graphics is toward very complex graphics. I find they may be very cool looking when one has the opportunity to get close and take the time to work out the graphic, but that seen in passing, the message becomes a meaningless blur. Like the engineering rule: "K.I.S.S." (Keep It Simple, Stupid). T shirt color will be decided upon later. What we really want is a nice design that is easily recognizable and portrays the website in a positive light. Graphic style is wide open. Use anything you like as Long as the azbaja.com logo is in the design somewhere. This will give members the month of Dec. to vote and hopefully get them printed the first of the year. sorry posted twice. Will delete one. Here's my design - two color. Instead of deciding who's car should be on the shirt perhaps we should focus on who we are. Should be able to see now. I'm still liking the AzBaja.com on the front with the AzFlag....I'm thinking that is a great stand out and then have some sort of rotating picture in the back every few years Kind of like a Car Show T-Shirt or somthing like that aka a mullet T-Shirt ... business in the front party in the back. I'm working on an idea for the back. I like the idea of a consistent logo on the front and have a new slogan so to speak, on the back each year. Hmmm. I've always liked the Mean Green Baja on the shirt. Maybe there can be a car show/contest for the next Baja on the T? I think you guys should at least have a Baja, Rail or Dune buggy on the shirts to keep the Baja "cool" factor they stand for. For me any way. If your Insistent on havin cars on the back, how bout a rail and a Manx sitting side by side with a bug jumping over em? All submissions will be accepted and the members will vote on them. Other than using the azbaja.com logo it is wide open for everyone to come up with the best design. Any imagery will be considered. Just post it here. BTW. I love the OHV line up on the home page. a decription of a description?